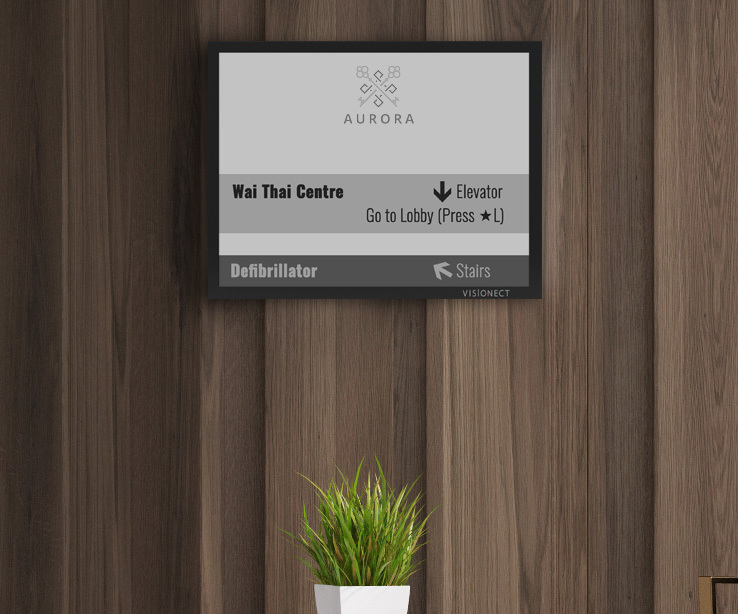 Visionect solves delivery of personalized information and wayfinding in hospitality with Place & Play Concierge Privé. Guests in a Mediterranean resort struggled to find the spa on the other side of this coastal top tourist destination with a view of the Alps. At check-out, guests were asked how they liked the Wai Thai Centre — and many responded that they didn’t even know the exclusive amenity existed in the first place. The resort was losing money keeping the empty amenities running and guests were complaining it was difficult to find their way around the cluster of six large interconnected hotels that comprise the resort. 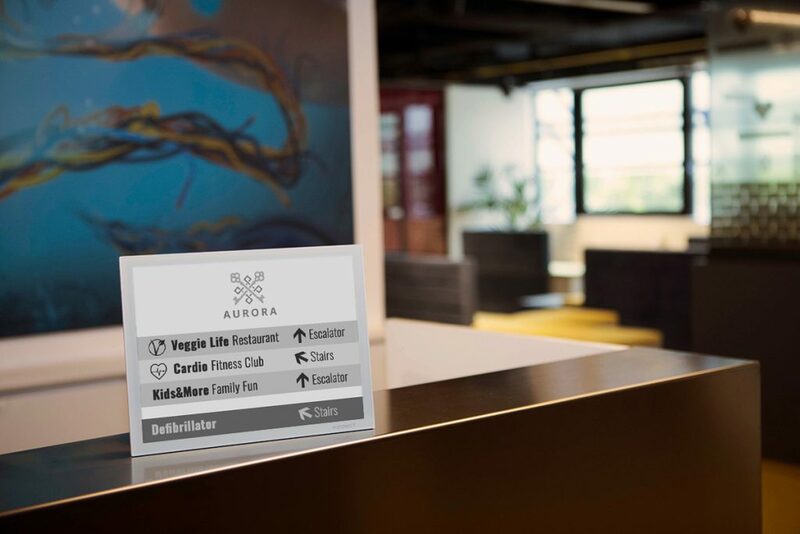 The solution was Visionect’s fully personalized, smart and sustainable indoor wayfinding and information solution which uses electronic paper displays and Bluetooth beacons in conjunction with a smartphone app: Place & Play Concierge Privé. 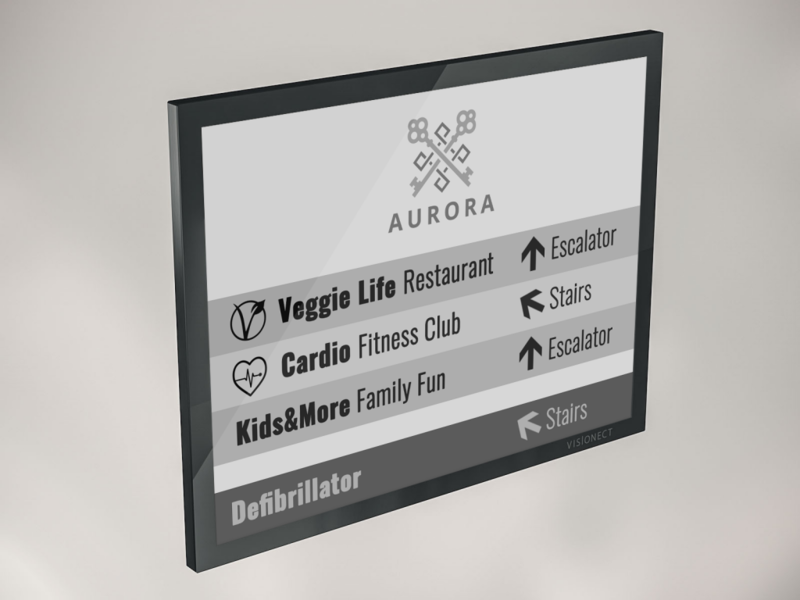 Imagine a world where information and wayfinding signage address you and your needs personally. Where you are guided step-by-step from where you are to where you want to be. 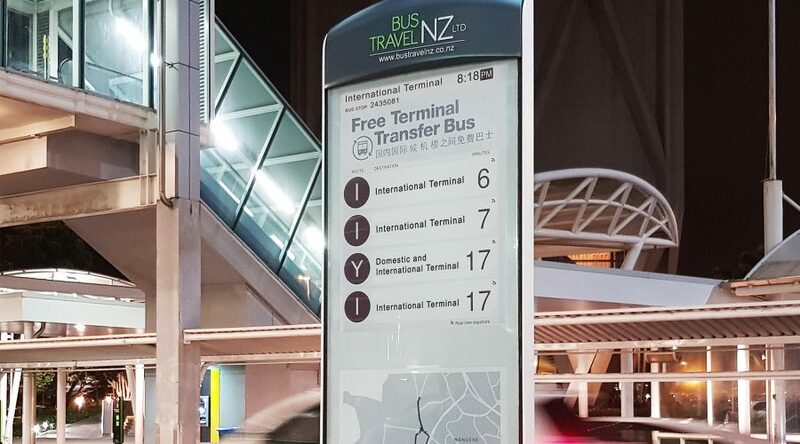 Where signage tells you personally when to turn left and when to take the escalator, and how long will it take to get to your destination. Where the system lets people know you’re running 3 minutes late, tells you where the vegetarian restaurant is, and lets you know where the family-oriented activities are. Guest information based on their preferences. In this case the guest is a health-conscious vegan with kids. And, importantly, imagine a world where first responders would know with pinpoint accuracy exactly where people are located in the building and how many to perfectly execute any rescue operation. 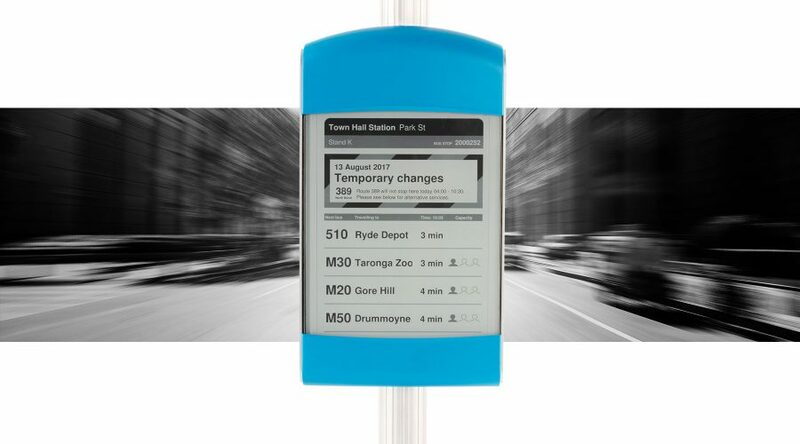 Welcome to the world of smart, fully personalized indoor navigation and information delivery system. With guest privacy a number one concern, the Place & Play Concierge Privé solution is fully anonymized and follows the strictest privacy standards in hospitality. The Place & Play Concierge Privé electronic paper signs display only the information relevant to guests in front of the display at that very moment. Everything else is irrelevant and consequently not shown. With the app, fully customizable by the hotel, running in the background, the guest’s smartphone can be in their pocket or in their bag all the time. The app senses the proximity of a Bluetooth beacon and sends information about the guest’s preferences and the beacon to the system. In turn, the system sends personalized, yet anonymized, information to that particular display. Deployed without any wires or cable-laying installation, Place & Play Concierge Privé displays are 99% more power-efficient than LCD, running on battery for up to 12 months on a single charge, saving thousands per device in energy and maintenance bills. Place & Play Concierge Privé can be installed anywhere in minutes, either with the provided magnetic mount or with a VESA mount. Deployment of hundreds of displays is quick and scalable for anyone, small hotels or large resorts. Installation is as easy as place and play, even in elevators and on glass surfaces. Simple: Place & Play Concierge Privé is completely cable-free and installs in minutes anywhere and by anyone. Power efficient: The 13 and 32-inch displays have a year of battery autonomy. Place, play and forget — until you get a friendly reminder from the back-end system to recharge. Cost saving: Place & Play Concierge Privé is 99% more power efficient than LCD displays and saves thousands in energy bills. Beautiful: Designed and meticulously built in Europe for a seamless look and feel, using the best materials such as low-iron anti-glare glass and space-grade alloy. Quiet: Place & Play Concierge Privé is designed so that it blends unobtrusively with the hotel’s decor or theme. Big Data: Anonymized and aggregated data about hotel guests, their preferences, routes and behavior. Guests simply select where they want to go or what they want to do, what their interests are, what they prefer and how they travel (alone, with family, with a partner, for business, etc), and the system guides them step-by-step via electronic paper displays. The displays are located throughout the resort at key points where the guest would need guidance, such as in the lobby, in elevators and at corridor forks. For example, a guest wants to go to the resort’s Wai Thai Centre which is two buildings away, through several passageways, stairs and lifts. 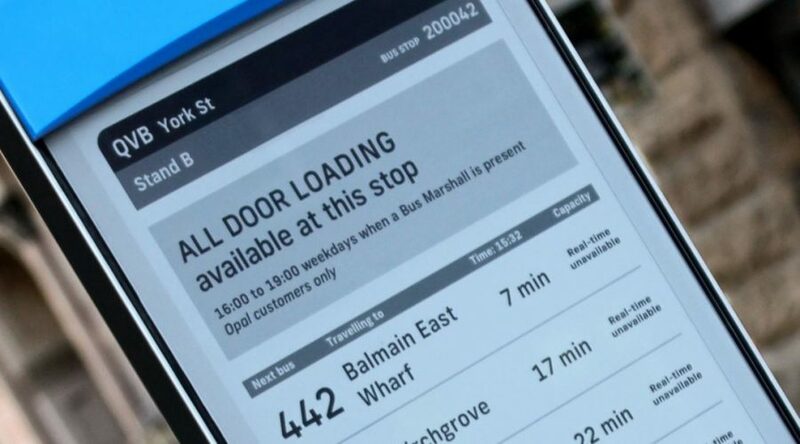 They run the app, select the destination, their alias if they want (for privacy protection), preferences (such as mobility), and they are good to go. 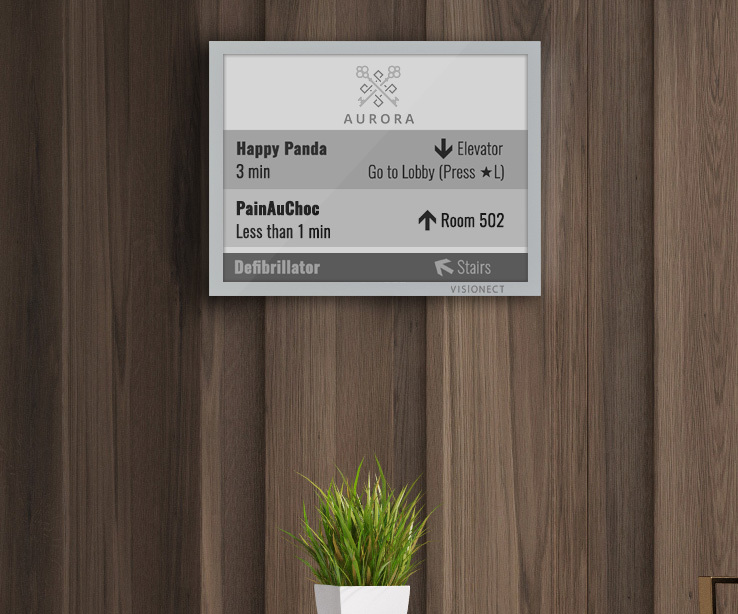 The guest leaves the room and walks towards the lifts where a Place & Play device shows them the relevant information: Happy Panda, take the lift to the lobby (★L). When they exit the lift in the lobby, another display guides them towards the spa: Happy Panda, take the stairs by the reception. Wayfinding information, anonymized (top) and with avatar nicknames (bottom, with two guests in front of the display: Happy Panda and PainAuChoc). At every fork in the way, the Place & Play Concierge Privé devices navigate the guest safely to their destination, no matter where they are. Even if they get lost on the way, all the guest needs to do is find the nearest Place & Play Concierge Privé display and pick it up from there. Finally, the guest arrives at the Wai Thai Centre in minutes without any hassle.